Welcome RDV Class of 2019 — Announcing the Boston Venture Fellows! Each year at Rough Draft Ventures, General Catalyst’s student founder focused program, we meet hundreds of students who are shaping entrepreneurial communities across campuses in Boston — hackathon organizers, entrepreneurship club leaders, code club organizers, and more. Of those students, we select ten to join our program as Venture Fellows. RDV Venture Fellows are ambassadors for RDV and fellow entrepreneurs on campus, helping to identify and support student founders. They work closely with student groups and collaborate on events and programs to bolster the student entrepreneurship community. Every other week, Venture Fellows hear pitches from top student founders and make recommendations for backing highest potential companies. Over the past five years, RDV has been helping student founders get their ideas off the ground, while supporting and connecting the nation’s strongest network of university entrepreneurs. We’ve backed more than 350 founders representing over 170+ companies with some major success stories along the way. Harvard-born Mark43 is reinventing public safety with their proprietary software deployed across 13 U.S. public safety agencies. MIT-born Spyce Kitchen is providing thousands of healthy meals prepared in their robotic powered restaurant. HBS-born Lovepop is bringing advanced manufacturing, design, and art to the greeting card industry. Babson-born Fountain is automating hiring for hourly workers, powering companies like Uber, Deliveroo, and Safeway. Marla Odell is junior at MIT studying Computer Science and Economics. Her experience is shaped by spending time at Microsoft, Apptentive, Venmo and McKinsey. On campus, she has researched at the MIT Media Lab’s Digital Currency Initiative, looking into emerging blockchain applications, and mentored at the MIT Innovation Initiative, helping students navigate the entrepreneurship landscape. Marla is passionate about connecting women in technology: she co-founded Women in Electrical Engineering and Computer Science, led MIT’s first Women in STEM week, and helped organize the first SheHacks Boston, an all-female intercollegiate Hackathon. Annabel Strauss is a junior at Brown University studying Computer Science and Economics. She has spent her summers in tech as a software engineer intern at Facebook, OkCupid, and Instagram. Annabel is passionate about women’s empowerment, particularly in tech. In high school she was a club head for Girls Who Code, and founded a conference for NYC young women in tech called Bit by Bit: Breaking the Barrier for Girls in Tech. At Brown, Annabel leads the Community Team of the Brown Entrepreneurship Program. She enjoys getting to know all the student founders on campus and talking to them about their ventures. Annabel also sits on the e-board of Brown’s Ivy Film Festival as the Web Coordinator. Hari Mahesh is a senior at Babson College where he studies business administration with a focus on entrepreneurship, marketing, and finance. He has a background as a self-taught developer, UI/UX designer, and brand marketer. Previously, he spent time on Johnson & Johnson’s Technology Services Innovation team as a digital technology analyst, and built two fashion brands. At Babson, he served as the Director of Special Events at eTower for two years. Currently, he is working on ideas exploring the fashion technology and retail entertainment spaces. Caty Rea is a second-year MBA student at Harvard Business School. Prior to HBS, Caty worked in consulting at McKinsey & Company focused on Finance & Insurance, Automotive, Tech Media Telecom, and Consumer. Caty’s startup experience includes spending time at Homebell, a Berlin-based home improvement platform, during their U.S. market launch and at PlacePass, a Boston-based travel experience booking platform, where she led their product launch with Marriott Hotels. This past summer, Caty worked as an associate at BBG Ventures, an early-stage New York venture firm focused on funding female-founded companies. At HBS, Caty is a member of the Tech Club and VCPE Club, and participated in Startup Bootcamp and the New Ventures Competition. Lily Sassoon is a second year MBA student at Harvard Business School. She started her career at Time Inc., where she worked in strategy and M&A, analyzing new companies disrupting the media space. After Time Inc., she moved to an operational role at Uber’s New York office and focused on growing the nascent New Jersey market. This past summer, Lily pursued her own startup venture in the food space. At HBS, she is involved with several clubs on campus, including the Tech, Entrepreneurship, and Retail Clubs. 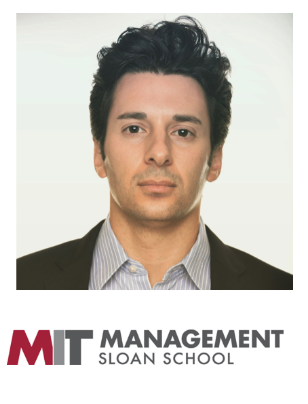 Adam Klein is a second year MBA candidate at MIT Sloan, where he is Co-President of the Coders Club and a member of the 2018 cohort of the DesignX Venture Accelerator. This past summer, he worked in business development and partnerships at Menlo Security, a Palo Alto based cybersecurity start-up and General Catalyst-backed company. Prior to business school, Adam began his career at Kaminski Global Advisers, a specialist financial and strategic advisor to energy and financial sector clients, before moving to US Grid Company, an energy start-up focused on upgrading the electrical distribution grid, where he directed legal and financial strategy. Frederick Daso is a second year Master’s candidate in MIT’s AeroAstro department, pursuing research of energy-efficient manufacturing of carbon fiber composite materials. He is a recipient of the 2018 National Defense Science and Engineering Graduate Fellowship. Frederick has completed five internships at The Boeing Company as a structural analyst, working on the 737, 777, 787, Commercial Crew Transport System, Space Launch System, and Xtra-Large Unmanned Undersea Vehicle across the company’s major business units including Boeing Commercial Airlines, Boeing Defense, Space and Security, and Boeing Research & Technology. Frederick is also an Under 30 Contributor to Forbes.com and a 2016 LinkedIn Top Voice with over 275,000 followers, where he writes about startups founded by college students and recent college graduates, ranging from biotechnology to artificial intelligence. Ellen Zhong is a graduate student at MIT pursuing a PhD in Computational and Systems Biology. Prior to MIT, she worked at D. E. Shaw Research, a privately funded lab in NYC which builds supercomputers for both basic research and in silico drug discovery. She is passionate about the power of computation in understanding disease, aging, and the fundamental processes of life. She is a recipient of a National Science Foundation fellowship and is currently developing novel machine learning algorithms for protein structure determination. As a proponent of broader scientific outreach, she has presented at the Grace Hopper Celebration for Women in Computing and the Out in STEM annual conference. Janet Chen is a senior at Harvard studying Computer Science and Psychology. She has spent time at WHOOP, Microsoft’s Cortana, and most recently, McKinsey & Company, working in software, program management, and strategy. On campus, Janet served as co-President of Harvard Women in Computer Science, leading a board of 20+ undergraduates which organized the Women Engineers Code (WECode) conference that reaches over 700 students around the country. Her passion for advancing women in tech also led her to co-found Four94, an initiative that provides mentorship, resources, and community to Boston-area up-and-coming female founders. Sreeya Sai is a senior at Northeastern University where she studies computer science. She. enjoys learning about conversational AI and empowering women technologists and entrepreneurs. She has spent time at IBM Research on the Healthcare Effectiveness Team, where she used natural language processing techniques to analyze physician-patient conversations, and most recently as a software engineer at Catalant, a General Catalyst-backed start-up disrupting the future of work. Sreeya is the Co-Founder and Chief Business Officer for TechTogether (formerly SheHacks), a non-profit organization that brings together young women through their largest student-run all-female and non-binary hackathon. Associate @gcvp. Marketing & Portfolio @roughdraftvc. HGSE & Penn Alum. Yoga Fanatic.